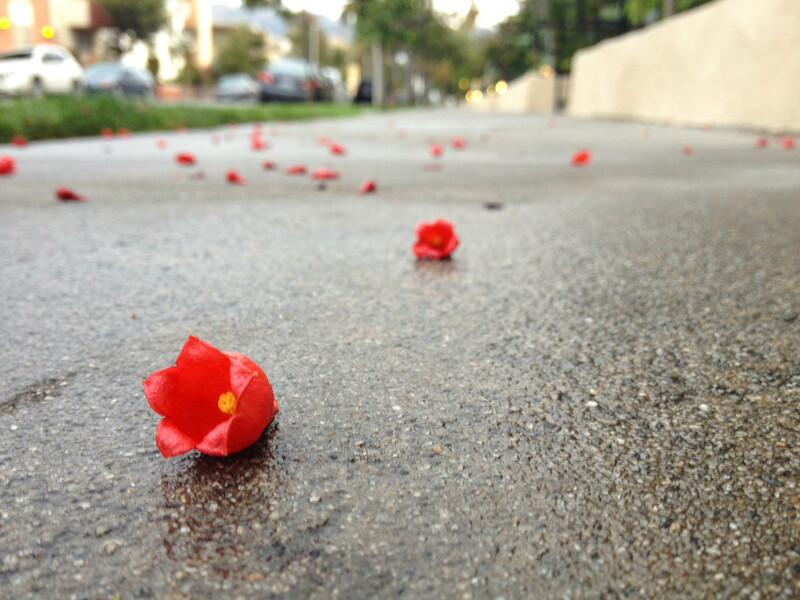 “Did it rain last night?” is the question I keep hearing Angelenos ask each other this time of year. Some friends who live in west L.A. swear it has rained this week, but over in West Hollywood (which is more east than it sounds), I haven’t seen a drop. Sprinklers, though, resulted in some drenched flower buds this morning.